Mint Tea leaves are one of the hardest products to produce. The mint has to be harvested at the peak of summer in order to get the most taste out of our leaves, and then it must be sun dried, which means the weather must stay dry! This is not always the case, so our mint teas are made from only the finest of our mint leaves. 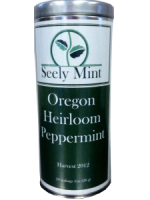 Whether you like spearmint, peppermint, green tea, or caffeinated beverages, we’ve got what you’re looking for! Our teas come in four different types to fulfill everyone’s tastes. Try some today by ordering your favorite flavor at our online store. I would like to know if your teas are black teas or ? I believe it would be considered herbal tea, since we just use our mint leaves in it. 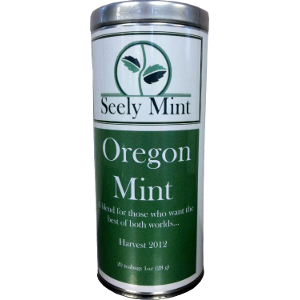 We do have a spearmint and green tea mix, however. 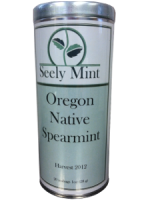 I recieved Oregon Native Spearmint Tea as a gift. I thought they got it from New Season’s but I couldn’t find it there. 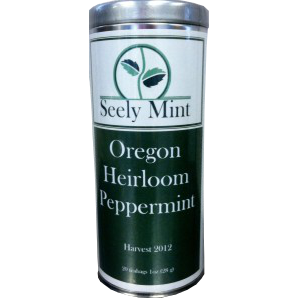 Where in or near Beaverton can I buy more of this wonderful tea? You will be able to find it in Alberta Coop or Local Discoveries. We harvest the mint using various machinery once a year, at the peak of the season. You can see a few pictures of the process on our about us page. When will you have tea available to purchase? We are still working with our tea mag manufacturer to get tea bags in stock. Unfortunately we cannot give an exact date at this time. We are hoping to have things running smoothly again by April. I’m sorry for the inconvenience. I’m still looking for this season’s tea. When might that be available? Looking for some of you mint tea. Is it still out of stock? …or did it come back in stock and go out again? Any idea of when a resupply will come? No, it hasn’t been in stock for some time. The problem is that we don’t have any packaging or tea bags for it due to some supplier issues. Once those are fixed, the tea will be back for good. 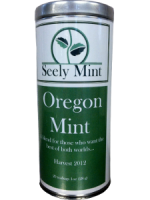 I too am wondering when your Oregon Mint Tea will be available. I need it to get through Midwest winters! I’m ready for mint tea this winter. 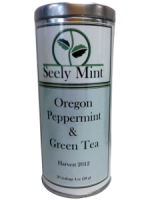 Is your Oregon Mint tea available for purchase? Has the tea bag supply issue been resolved for the teas? Have you thought about selling the tea loose leaf? I ordered your teas and love them! 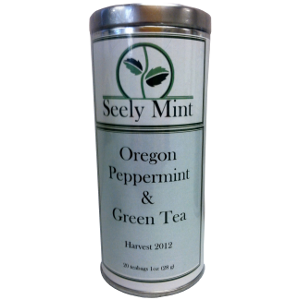 How can I order your Oregon mint, peppermint, and spearmint teas? They get me through New England winters.